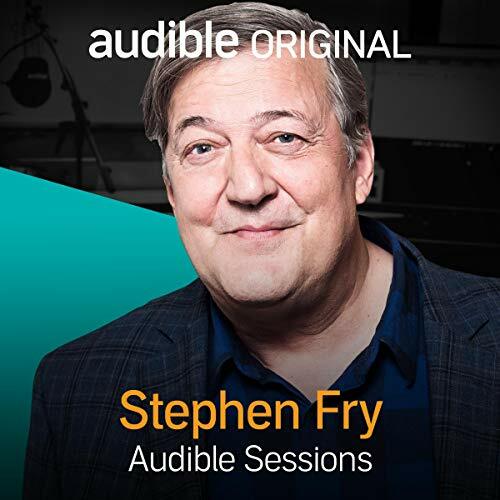 Joining us in the Audible Studios to talk to us about his latest series, Stephen Fry’s Victorian Secrets, is the man himself, Stephen Fry. A comedian, actor, writer and more, Stephen has narrated the full collection of Sherlock Holmes for audiobook, was one-half of comic duo Fry and Laurie and is well known for his many years presenting QI. His list of accomplishments beyond this would far exceed the word count here! Now he lends his smarts and his voice to delving into the mysterious world of the Victorians in new series Stephen Fry’s Victorian Secrets - looking at what went on behind their outwardly strict societal norms. In this interview Stephen gives us a taste of what we can expect from the series, muses on how he might have reacted in Oscar Wilde’s situation and even gives his thoughts on that infamous Janet Jackson wardrobe malfunction. I found Mr Fry’s voice quite difficult to hear. His pitch was very low. I could hear the interviewer quite well but not so Mr Fry. I’ve never had a problem with listening to him in other instances. I think Stephen Fry is one of the most interesting people alive today! one of my favorite human beings also oh, I wish I was more like him. Couldn't get theough this one. I usually really love Stephen Fry, but did not enjoy at all. I cannot recommend. An interesting point of view as to what has changed over the years or not. What an informative treat! I adore Mr Fry so I am not objective but that really is a great interview. Thank you! if you wonder how you would act in Victorian era just look at the way we treat animals, I am sure people will not be eating animals 150 years from now and will back at us with disgust, its bad for our health, the environment and unbelievably cruel. we are certainly no better than the Victorians.